Caitlin Clark was perfect from the field and scored 11 points in her debut for Team USA. Athleticism has always taken Caitlin Clark places. When she was 4, Clark listened as her parents talked her 6-year-old brother, Blake, through the basics of riding a bike. After about a minute, Clark quietly grabbed another bike and -- first time out, no training wheels -- took off on her own. 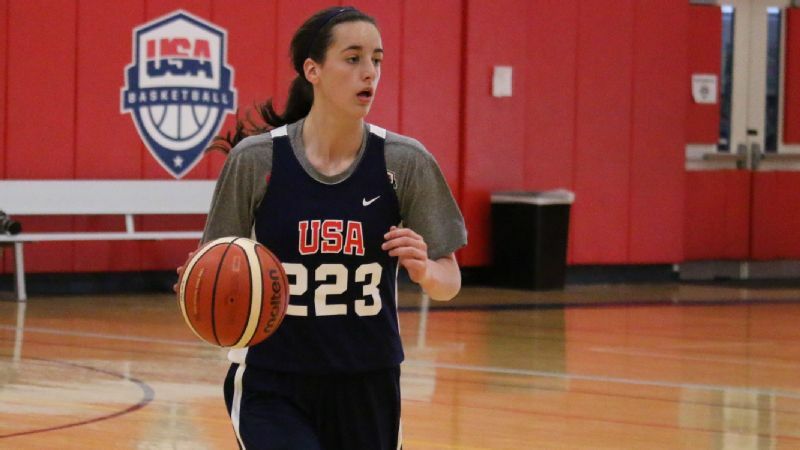 This week, the 15-year-old Clark is riding high in Buenos Aires, Argentina, where she is one of 12 players representing Team USA in the FIBA Americas U16 championships. The tournament runs through Sunday, and the top four teams earn berths into the 2018 FIBA U17 World Cup. Clark scored 11 points, going 4-for-4 from the field with three 3-pointers, in Team USA's 91-33 win over Colombia in its opener on Wednesday. "It's a big honor ... it hasn't quite sunk in," Clark said last week from Colorado, where she aced the trials process. "It's crazy that I get to wear a jersey that says 'USA' on the front." 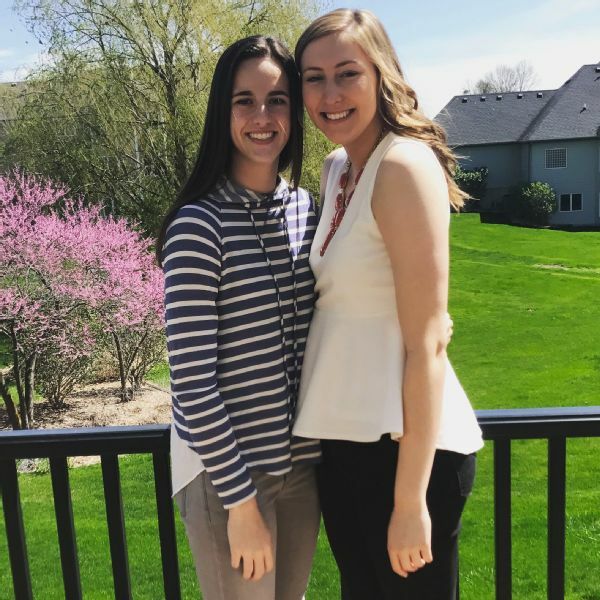 Clark, who recently completed her freshman season at Dowling Catholic (West Des Moines, Iowa), is a 5-foot-11 point guard. 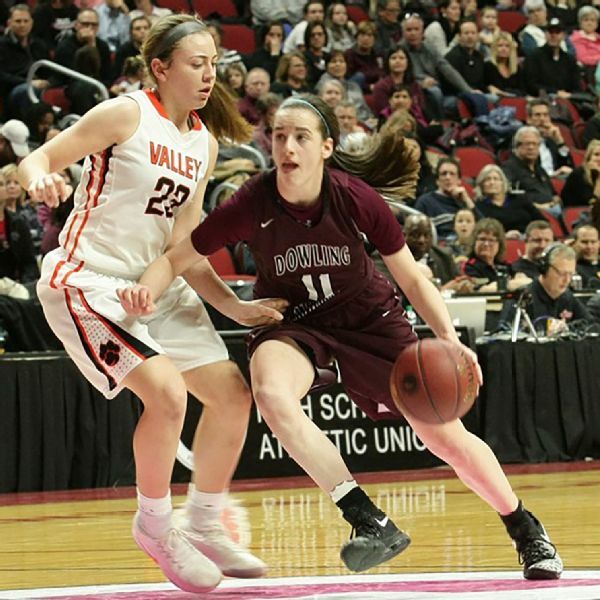 She averaged 15.3 points, 4.7 assists and 2.3 steals, leading Dowling (19-5) to the state quarterfinals, where the Maroons lost to eventual champion Valley (West Des Moines). "Her vision on the court is higher than any other player I've been around, male or female," Dowling coach Kristin Meyer said of Clark, who made Class 5A second-team all-state as a freshman. "She has the ability to read angles and passing lanes, and she has the confidence to squeeze a pass through a tight window." Meyer, who met Clark last summer, said she was immediately impressed. "She walked into the gym with a smile on her face, and she loved competing in every drill," Meyer said. "Her passion for the sport shows through more than most athletes." Clark, the middle of three children -- she has an older and a younger brother -- comes from an athletic family. That includes her brothers, a bevy of cousins and her father, Brent, who played Division III basketball and baseball at Simpson College in Indianola, Iowa. Growing up, Clark and her dad were always tackling one sport or another. 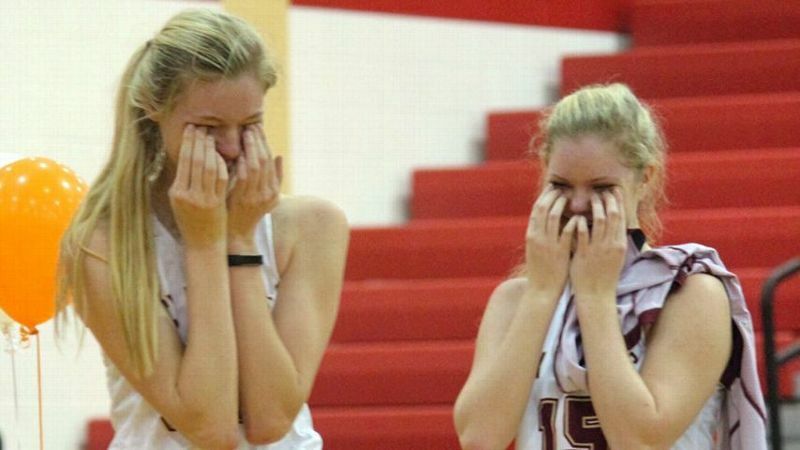 Audrey Faber, right, won a state title at Dowling Catholic before starring at Creighton. 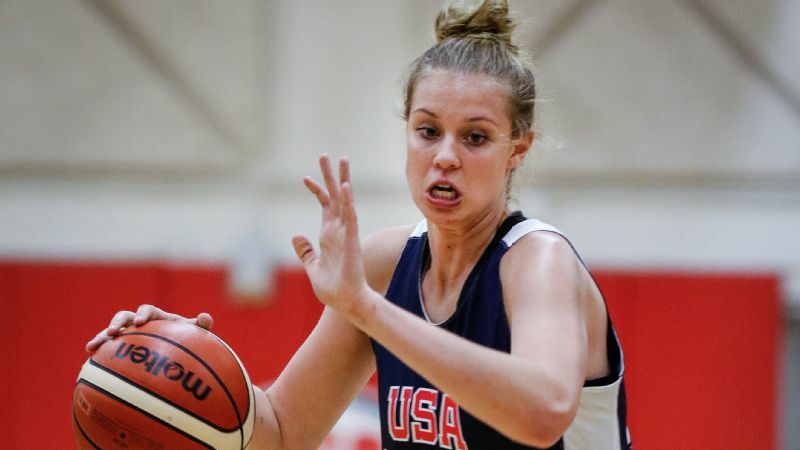 Now little cousin Caitlin Clark is trying to win a title with Team USA at the FIBA Americas U16 championships. "She's not one to sit around," said her mom, Anne. "She likes to just go. She would ask her dad, 'Let's go hit golf balls' or 'Let's throw the football.' "
Brent thinks his daughter is a natural. "She would throw these perfect [football] spirals to me," he said. Clark still plays soccer, scoring 23 goals in just eight games last season for Dowling. Basketball, though, is her sport of choice. 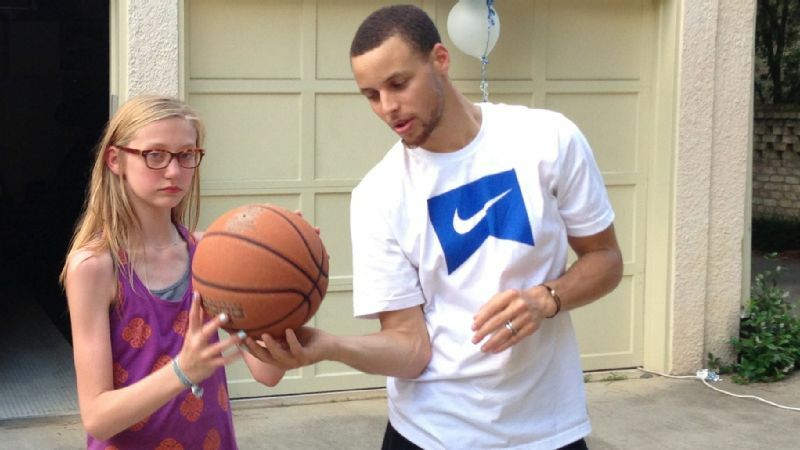 And one of Clark's main role models has been her cousin, Audrey Faber, who grew up just 10 minutes away in Clive, Iowa. Faber is now a 6-2 sophomore forward at Creighton, where she made first-team All-Big East this past season. Before that, though, Faber played at Dowling, winning a state title as a junior. Clark was a regular in the stands, watching her cousin and dreaming of the day her chance would come. The cousins are so close that they boast a streak of more than 335 consecutive days in which they have communicated with each other on Snapchat. Last Wednesday, though, Faber received a text from Clark. "I was screaming, 'She made it!' " Faber said. "I think I said that to everyone I saw that day. ... I'm just really happy for her." Clark, who has a 3.8 GPA, started picking up scholarship offers last summer. Iowa, Texas, Iowa State, Michigan State -- they have all asked Clark to join their roster in 2020. Others will surely follow. But, given her age, Clark is at least a year away from even looking at schools. She just wants to continue to improve her game, which is why these past couple of months have been so important. As a freshman, Caitlin Clark averaged 15.3 points, 4.7 assists and 2.3 steals for Dowling Catholic. 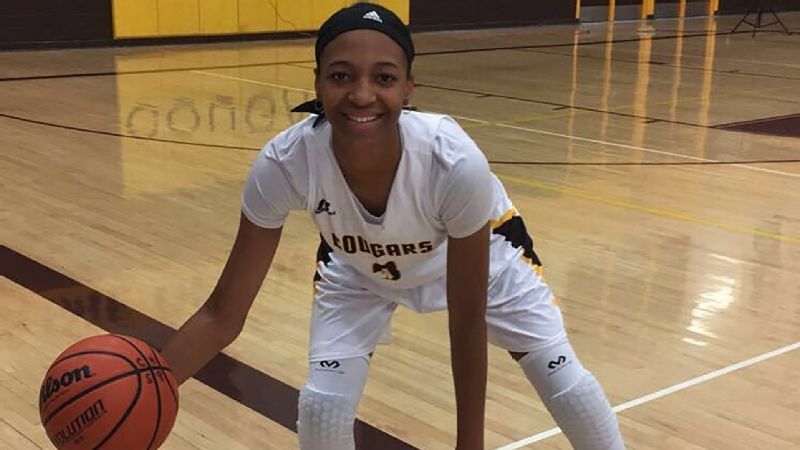 In March, she received a letter from USA Basketball saying she was one of 35 players who would be invited to Colorado to compete for the 12 roster spots. "Once she realized what the letter was," Brent said, "her eyes got big." Clark talked it over with her family and decided to go for it. She even trained with a mask that helped her prepare for the altitude in Colorado and scoured the basketball landscape for advice . "We got advice from a few coaches who are recruiting Caitlin," Brent said. "They said it's not about the 12 best players. It's the 12 players that make the best team." To ensure she was one of them, Clark ordered a FIBA basketball online. And at her high school gym, Meyer used black tape to mark the FIBA 3-point line. After all that, Clark and her dad headed to trials, where 133 athletes representing 33 states were determined to make the team over the 14 sessions in six days. "It's not just the physical aspect that is grueling," Brent said, "but also mentally, especially once the cuts begin." But Clark, who is one of three players from the 2020 class on the roster, did not back down. When the USA coaches got ready to make their final cuts from 18 players to 12, they set up individual meetings with each of the girls. "My heart was beating fast, I was stressed, and I was really sweating," Clark said. "It would've been heartbreaking had I gotten cut then. "But I took a deep breath, and when they told me I made it, I had a big smile on my face."